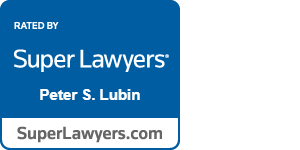 Best Business And Class Action Lawyers Near Chicago Category Archives — Chicago Business Litigation Lawyer Blog Published by Chicago, Illinois Business Litigation Attorneys — Lubin Austermuehle, P.C. When a shipment of sand was tainted by excess moisture, the contract between the two companies involved in the transaction required that any suit be filed within four months of the delivery. As the plaintiff corporation’s suit was filed over two years later, it was untimely. Knowing where to bring a lawsuit and what state’s laws to apply can have a huge impact on the success of business litigation. Courts have developed extensive and complicated rules and procedures for determining where a lawsuit should be brought and which jurisdiction’s laws to apply, but that procedure is rarely simple or straightforward. Conflicts between the laws of two or more states can complicate the matter further. Agreeing in advance to jurisdiction and venue can provide certainty and save a great deal of time and money in the unfortunate event litigation does ensue. For this reason, companies often address in the contract itself how any disputes or litigation will be handled. A common example includes “forum selection” or “choice of venue” provisions, which identify a specific state (or even a specific county within a state) as the proper jurisdiction and venue for litigation. Super Lawyers named Chicago and Oak Brook business trial attorney Peter Lubin a Super Lawyer in the Categories of Class Action, Business Litigation, and Consumer Rights Litigation. 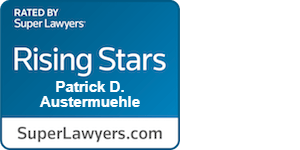 Patrick Austermuehle of the Firm was named a Rising Star again. Peter Lubin and Patrick Austermuehle have consistently won this honor which is only given to 5% of Illinois’ attorneys each year. 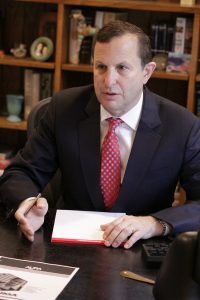 Lubin Austermuehle’s Oak Brook and Chicago business trial lawyers have over thirty years experience in litigating complex class action, consumer rights and business and commercial litigation disputes. We handle libel and defamation cases, First Amendment issues and emergency business lawsuits involving injunctions, and TROS, covenant not to compete, franchise, distributor and dealer wrongful termination and trade secret lawsuits and many different kinds of business disputes involving shareholders, partnerships, closely held businesses and employee breaches of fiduciary duty. We also assist businesses and business owners who are victims of fraud. Lubin Austermuehle’s Wheaton, Naperville, and Aurora litigation attorneys have more than two and half decades of experience helping business clients unravel the complexities of Illinois and out-of-state business laws. Our Chicago business, commercial, class-action, and consumer litigation lawyers represent individuals, family businesses and enterprises of all sizes in a variety of legal disputes, including disputes among partners and shareholders as well as lawsuits between businesses and consumer rights, auto fraud, and wage claim individual and class action cases. In every case, our goal is to resolve disputes as quickly and successfully as possible, helping business clients protect their investments and get back to business as usual. From offices in Oak Brook, near Naperville and Glen Ellyn, we serve clients throughout Illinois and the Midwest. to know of the direction of the future in exchange. Of course, it would not be long until the way transactions took place would be tested in the courts on an international and local level. A plaintiff’s attorney in New York recently challenged a federal court’s authority to order him to pay a $10,000 fine as a sanction for misconduct under the Federal Rules of Civil Procedure in a copyright infringement case. Southern District of New York Judge Denise Cote imposed the monetary sanction on attorney Richard L. pursuant to Rule 11 of the Federal Rules and the court’s inherent authority to manage its own affairs (Paul Steeger v. JMS Cleaning Services, LLC). The alleged conduct for which Richard was sanctioned included failure to serve notice to the defense of a pretrial hearing as required by court order, which the judge accused Richard of having done on three other occasions in the southern district, and also failing to respond to the defendant’s settlement offer. Shortly after the defendant complained of Richard’s conduct to the court, the parties reached a voluntary settlement in the case. As a result of the complaint, the judge issued Richard an order to show cause why he should not be sanctioned. At issue in Richard’s motion for consideration was what the court is allowed to do under its inherent power and under Rule 11, which requires that no monetary sanction or order may be imposed against a party or its counsel after the litigants have reached a voluntary settlement. Judge Cote noted, however, that she received the defendant’s complaints about Richard’s misconduct and issued the order prior to the case’s formal dismissal or settlement. Instead, Richard had notified the court only that the parties had reached a settlement “in principle.” The case was not dismissed pursuant to the settlement until four weeks later. The sports industry is one of inflated prices. From tickets to merchandise, rabid fans are often willing to pay outrageous prices for the illusion of a connection to their favorite player and this includes the selling of equipment that was allegedly worn by star players during games. The question of whether it can be proven that a specific piece of equipment was worn during a game or not was up for debate in a recent lawsuit against Eli Manning, the Giants, two equipment managers for the NFL team, and Steiner Sports, a company that sells helmets and jerseys worn by players during games. The lawsuit was filed by Eric Inselberg, Michael Jakab, and Sean Godown, who purchased two helmets that were supposed to have been worn by Manning during games, but the three men allege that is not actually the case. Inselberg, who filed the lawsuit in 2014, claimed photographic experts used a technique known as “photo matching” to determine if the helmets he, Jakab and Godown had bought had actually been used in NFL football games. According to the lawsuit, these experts allegedly failed to find any evidence that either helmet had, in fact, been worn during any game.